When a famed Oxford historian is found dead in his study one night, all evidence points to his son, Stephen. About to be disinherited from the family fortune, Stephen returns to home after a long estrangement—and it happens to be the night his father is shot to death. When his fingerprints are found on the murder weapon, Stephen’s guilt seems undeniable. But there were five other people in the manor house at the time, and as their stories slowly emerge—along with the revelation that the deceased man was involved in a deadly hunt for a priceless relic in Northern France at the end of World War II—the race is on to save Stephen from a death sentence. Everyone has a motive, and no one is telling the truth. Unwilling to sit by and watch the biased judge condemn Stephen to death, an ageing police inspector decides to travel from England to France to find out what really happened in that small French village in 1945—and what artifact could be so valuable it would be worth killing for. Author Simon Tolkien received rave reviews for his first legal thriller, The Final Witness. 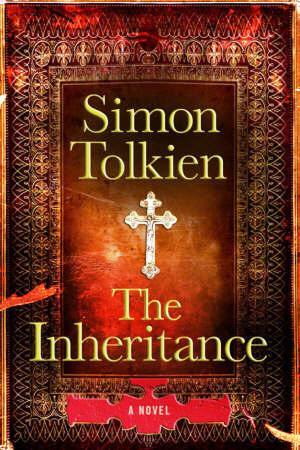 Now, in THE INHERITANCE, Tolkien sharpens his craft even more, deftly weaving psychological suspense and family drama to create a mystery steeped in memories, betrayal, and the long shadow of the past. Part courtroom drama and part historical thriller, The Inheritance is a dark, dynamic thriller that tests the strength of blood ties, loyalty, and revenge.